Windows sometimes appear like they have voices that talk to you as they age. They bend and warp. They get damaged or broken. They let in the outside weather and don’t trap heat from the inside like they once provided comfort. It’s a good idea to check the condition of your windows, especially if you know that the frames are 20 years or older. Original windows can last for decades, but by the 20 year mark, they often start to demonstrate with some telling signs that it’s time to replace them. Well-built, dependable windows provide a number of comforts for those inside the home, and also vastly improve your curb appeal when it comes time to sell. How do you know when it’s time to replace your windows? Here are 7 clear indicators. The most obvious sign, aside from looking at an older window and realizing it doesn’t look all that stable and reliable anymore, is its operation. When you open and close the window, are you finding it increasingly harder for it to work smoothly? Does it require unnecessary force and pressure to open or close? Have you noticed that the frame creaks and makes ugly sounds when you try to pry it open? Windows should open and shut effortlessly. If you’re having any difficulty, it’s a clear red flag that they need replacing. Wood frames, in particular, are especially suspect to poor operation over time. Windows can withstand all kinds of abuse. Enough abuse can cause them to decay, warp, leak, rot and break. Once again, wood frames are the most vulnerable because the material has trouble dealing with moisture. Over years of abuse, the wood can literally begin to fall apart in front of your eyes. Whenever you start to notice decay around the frame, it’s a good idea to tackle the problem quickly before it leads to more expensive repairs. Water damage can begin to seep into the interior of the structure, causing all kinds of headaches. Moisture leads to the growth of mold and is a health hazard to your family. Often, homeowners will select a short-term option by resealing the frame which can temporarily block moisture, but will only hold up for so long. Homeowners that live in particularly older homes, and with wood frames, often have little choice but to eventually bite the bullet and invest in new windows. That’s why vinyl replacement windows are becoming such a popular option for homeowners all over. Vinyl windows are resistant to molding, cracking, and rotting when exposed to moisture. They’re the perfect option for homeowners looking to upgrade their home for the long-run. Aside from taking a look at your monthly energy bill, you can get immediate warning signs that your windows aren’t helping the cause of making your home energy-efficient by standing next to them during a cold day. Does this part of your house feel cooler than the rest? Touch the windows. If the glass is abnormally cold to the touch, your windows are drafty and leaking in cold air while allowing warm air to escape. Obviously, this is disconcerting from a comfort standpoint. You want your house to feel warm and cozy for you and your guests. When you eat a meal by a large window, or hang out watching TV next to one, and it just feels drafty, you’re not doing yourself any favors. Furthermore, poorly insulated windows are going to lead to higher energy bills. Your bills during the winter months are going to be especially high because you’re going to need to pump in more heat (since more is escaping). Similarly, if you have an air conditioning or swamp cooler in the summer, your cool air is going to escape and thus the system will work overtime to keep up with an optimal temperature. You can either choose to stick with mounting energy bills, costing more money over the long haul, or invest in replacement windows today and save money over the next several years. Windows provide natural light into a home which is pleasing to the body, and your eyes enjoy looking out at nature during a nice day. However, having glass that provides this view comes with one drawback – it’s less soundproof than actual walls. Soundproofing really gets to become a nuisance the older your windows get. While some people that live in quiet subdivisions or in the woods may not get all that worked up by noise penetrating their house, those that live in busy metropolitan areas or near major highways will certainly notice a difference. When you stand by a window can you hear a car approaching from a few blocks away? This simple test reveals that your windows are not quite as soundproof as they once were. Energy efficient double pane windows are starting to replace old, single-pane style not only because they’re more energy efficient, but also because they block noise much better. Condensation. Yuck. While not every form of it is inherently bad, it’s not exactly pleasing to the eyes and can indicate more severe problems with the home. Do you regularly notice fog or other condensation build up on your glass? Some of this is natural on a particularly cold day, but excess build up is a red flag. 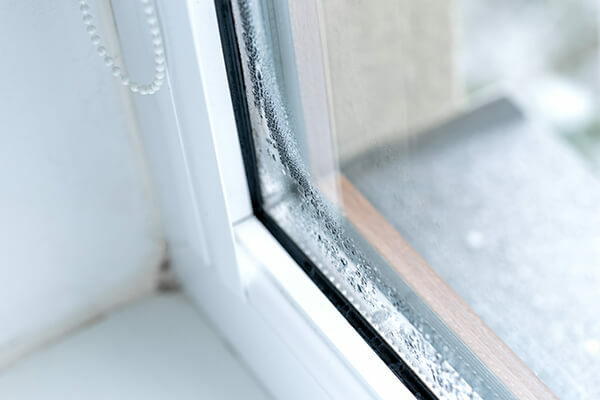 Condensation that builds up between two panes of glass is telling that the seals are no longer effective in keeping out moisture. The windows will only continue to get more leaky, so it’s important to consider replacements as soon as possible. Though you may not believe it’s directly related, furniture and other household items like carpet that are by a window can fade as a result of your windows. Single pane glass doesn’t do near as effective of a job at keeping out UV rays. These sun rays are very hard on material and fade colors over time. It’s why most new windows are installed with low-emissivity (Low-E) glass in order to save on heating bills. Low-E glass reduces most of the UVB light as well as helps minimize heating and cooling costs. Laminated and tinted glass windows can also have the same effect on reducing UVA rays. Kind of like trying to keep an extremely old car up and running becomes harder over time simply because parts are no longer being produced for it, windows suffer the same demise. There’s a reason double pane windows are preferred over single pane windows, though most older homes still have the single pane version. Consequently, the parts are no longer in as high of a demand. If you’re finding it harder to locate replacement parts, or find a knowledgeable repairman that can service them, perhaps it’s time to consider an upgrade. In the end, the eye test doesn’t lie. 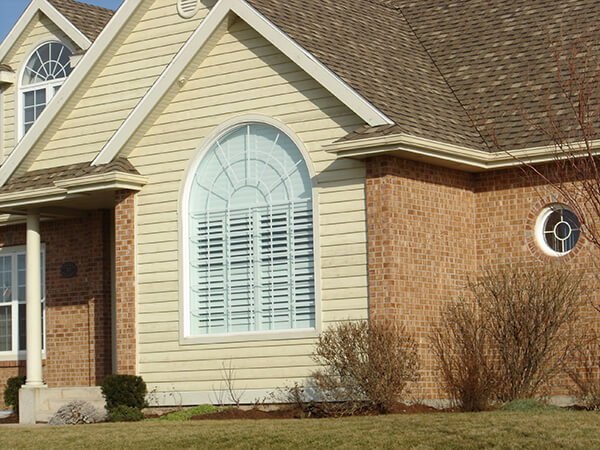 If the windows look bad, they’re hurting your curb appeal and it’s time to update. There are so many advantages to double or triple pane windows over single pane windows that it’s unwise to not at least consider the change. If your windows are more than 20 years old and/or made of wood, chances are they’re only single pane. So, consider replacing your windows soon. It’ll save you money in the long run and improve the overall look and feel of your home all year long.